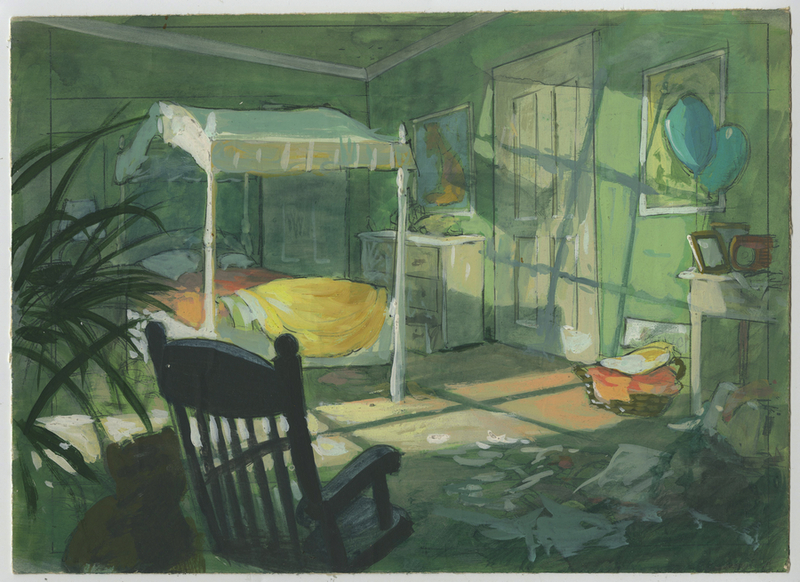 This is an original James Coleman concept painting for the 1990 Walt Disney feature, The REscuers Down Under. The painting is accomplished in gouache on 7.5" x 10.5" peeled artists' board. The concept is in very good condition.